Finally, the delightful day of color is around. There is nothing as blessed as the Holi experience. First an overview of Holi. On this day, Prahlad, an ardent follower of Vishu – the god that operates the world in Hindu Belief – testified his supreme devotion in him, and sits with his aunt Holika in the pyre of Fire. Although she got boon that supposedly made her immune to fire, due to divine intervention, Holika was burned. Therefore, people celebrate holi on this day. 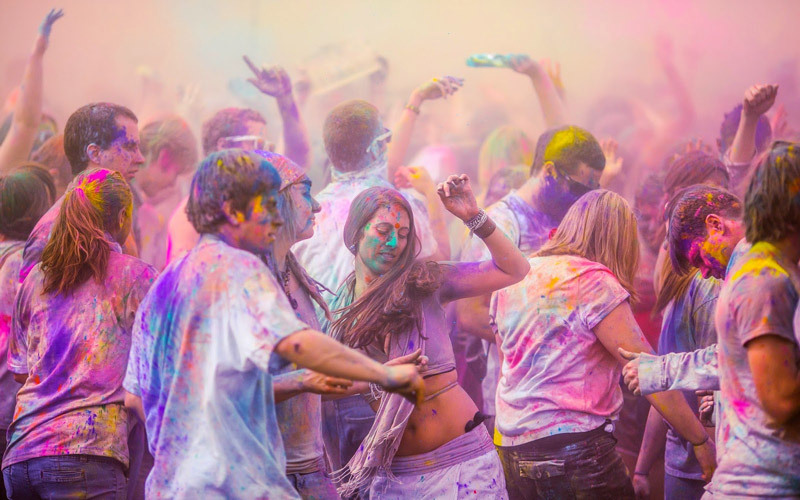 It is widely depicted in India’s culture and polity, and Hindus all over the world play Holi foregoing differences. While you celebrate holi with colors and delicacies, here are some quotes to get you started on this phenomenal day. So here are some Holi Quotes, SMS’s, and Facebook and WhatsApp status for Holi. Wishing you and your family a very bright,colourful and joyful holi with love and best wishes.